At the close of each year John Weir Funeral Directors organises and holds a dedicated 'Service of Remembrance'. All those who have lost loved ones during the previous twelve months and who chose to arrange their funerals using our services are invited to come together to reflect on their sad loss. As each year draws to its end it is a particulary poignant time when a loved one, who has passed away, is held close in the hearts and minds of their families and friends. The 'Service of Remembrance' is a fitting tribute in celebration of their life and sadness of their death. A personal invitation to the 'Service of Remembrance' is sent out to each family who has suffered a bereavement during the year at a time closer to the event, usually held in late November, early December. John Weir Funeral Directors would like to take the opportunity to convey our heart felt sympathies and make you warmly welcome at a time which can be of great sorrow and distress for many. We hope to see you on what is a special occasion where taking time to reflect and remember a loved one can bring peace of mind and the strength to move forward. 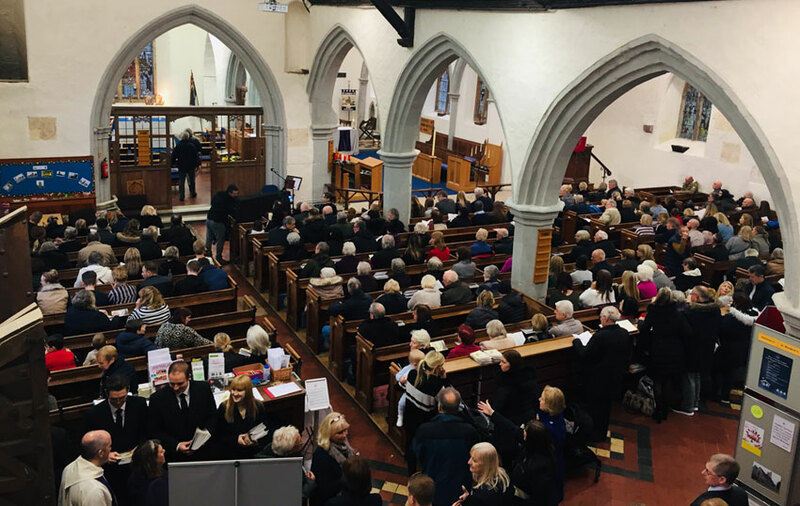 The 2018 Service of Remembrance was once again a great success and held at St. Margaret's Church, Rainham. The service was well attended by many of our clients who had used our funeral services over the past year. Service of Remembrance 2018 - St. Margaret's Church, Rainham.